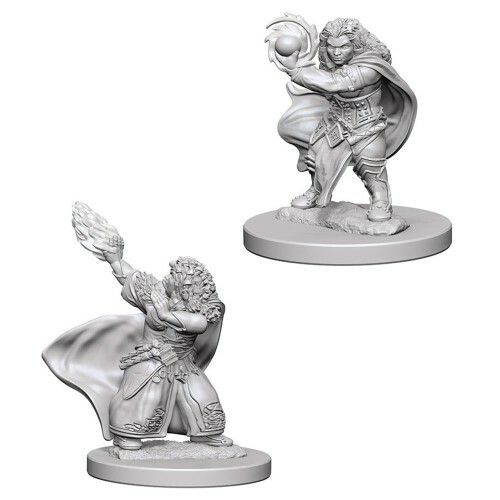 Dungeons & Dragons Nolzur's Marvelous Miniatures come with highly-detailed figures, pre-primed with Acrylicos Vallejo primer and includes deep cuts for easier painting. The packaging of each different set will display the minis in a visible format. Manufacturer: WizKids Model: D & D NMU: Dwarf Female Wizard W4 MPN: WZK72621 Feature: Dungeons & Dragons Nolzur's Marvelous Miniatures come with highly-detailed figures, pre-primed with Acrylicos Vallejo primer and includes deep cuts for easier painting. The packaging of each different Manufacturer Minimum Age: 10 UPC: 634482726211 EAN: 0634482726211.